In West Africa, authentic black soap is known by its Yoruba name, Ossé Dudu. “Dudu” means the color black, which comes from the extensive “cooking” of the soap to the point of charcoal. Many cultures in West Africa use charcoal to detoxify and purify the skin, and this is an integral aspect of our true African black soap. Our authentic black soap is made from a centuries old recipe of handcrafted shea butter and indigenous West African palm kernel oil. Saponification is provided by adding ashes to the hot oils, then cooking the soap for six hours. The final step is to dry and cure the soap in the sun for three weeks. The extensive cooking and curing process makes our authentic African black soap mild and gentle. 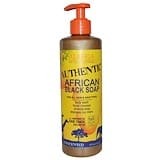 In West Africa, our black soap is an “all in one” option for cleaning, and is ideal for faces, shaving, shampooing, and as a general hand & body wash for all ages. 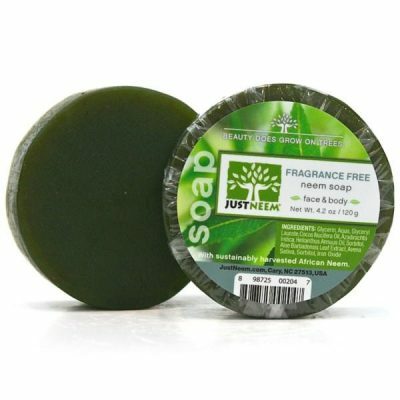 Unscented for sensitive skin. 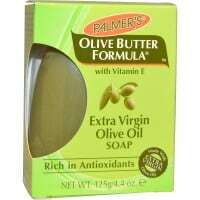 Facial Cleanser: Apply with palm or facial cloth and massage gently over skin. Rinse clean and pat dry. Follow with Alaffia Face Cream of your choice. Shampoo: Apply to wet hair & massage into a rich lather. Rinse thoroughly & condition with Alaffia conditioner. 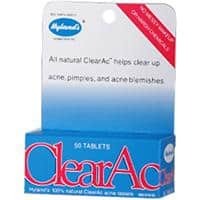 Also good as: Hand Soap, Shaving Soap, and General Household Cleanse. African mint (ocimum canum) extract (aqueous), African black soap (saponified shea butter*, (butyrospermum parkii) and palm kernel oil (elaeis guineensis)), lauryl glucoside (coconut).